Big Reds Are Around! It’s Possible! Come on out! Good news! Big Reds are getting caught! My boat got lucky with a good one yesterday and I know others have been caught in other areas of the bay. 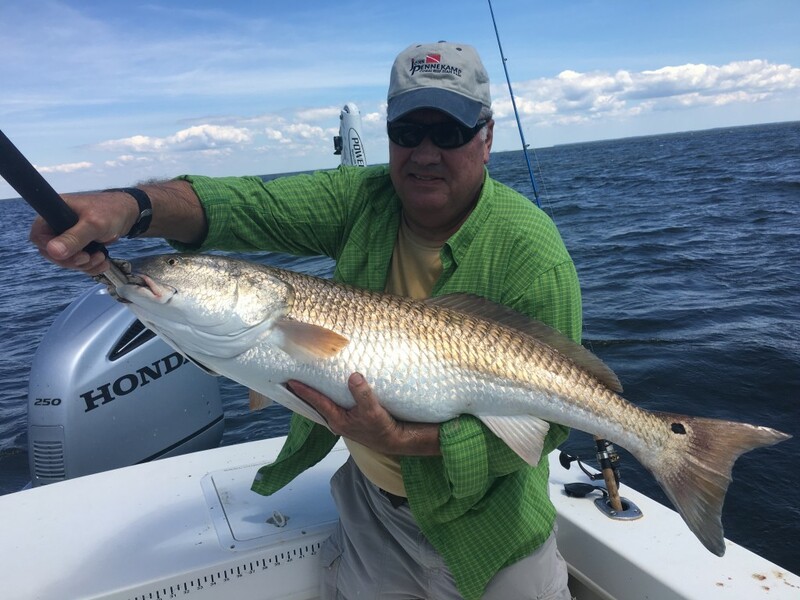 Our huge Red was caught on light tackle using a 1.5 ounce Hardhead Custom Bait Jigging Spoon in chartruese and white. What a battle this fish put on light tackle. We landed the fish and carefully released it back to the sea……we watched it take off strong. Reds are still a long shot to catch but certainly very possible! 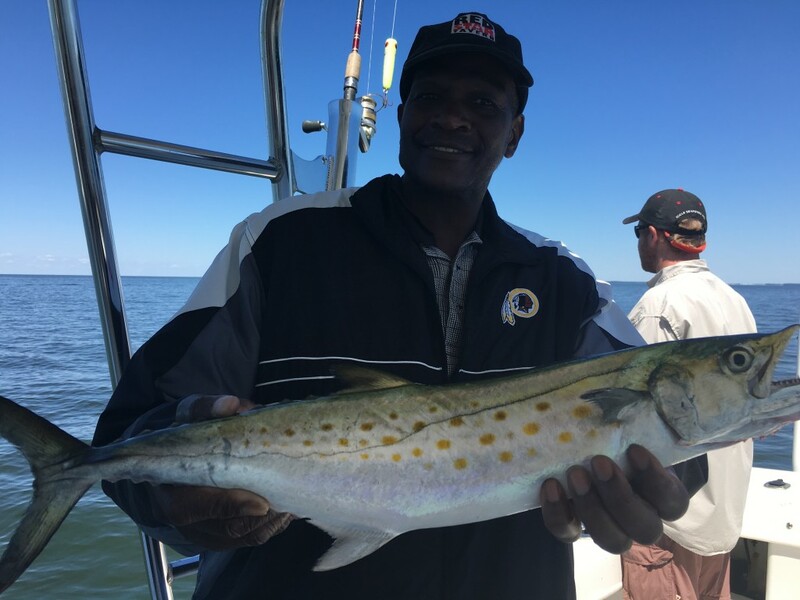 Stripers, Blues and Spanish Mackeral are very busy on the main stem of the bay from Buzzs Marina all the way up to the Choptank and probably above. I’ve been making runs and glassing for activity…..been finding good stuff every day! Here’s a brand new light tackle angler who caught a trophy spanish mack on a jig……..really cool! BIg Spanish Mac caught on the light stick! Best days I’ve had has been on very light wind and sun……fish are going off during the day on Silver sides all day long. Once the sun gets up the fish really get busy on these bait fish. Great time to be on the bay with lot’s of action with the shot at a true light tackle monster! Get out there and try it! With favorable weather and anxious fish a walk-on trip could be a great way to really get hooked up! We will cover lot’s of water and attempt to hunt down a Red Drum on a jig. 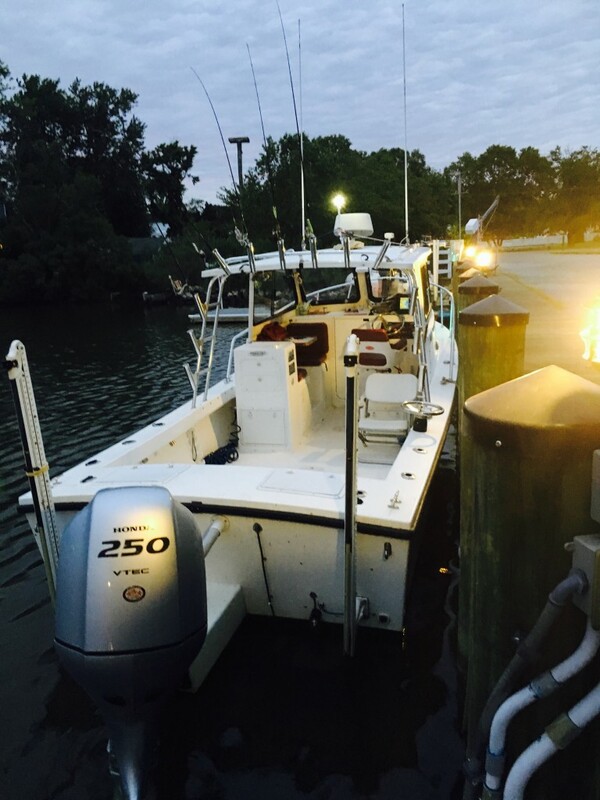 While trying to find a Red we will see and catch a BILLION (well….alot) breaking fish with Stripers, Blues and a few Spanish. We’ll launch at 630am from Beacon Marina and return around 230pm or so. I will fillet fish at the end of the trip. Reserve your spot by texting or calling at 703-395-9955. First 5 are in! Posted under "Walleye" Notes Newsletter,Sticky,Trip Opening,Walk-On Trip Openings!! !